Ever wondered how we know all this? Atmosphere consisting of hydrogen, helium, and methane gas. 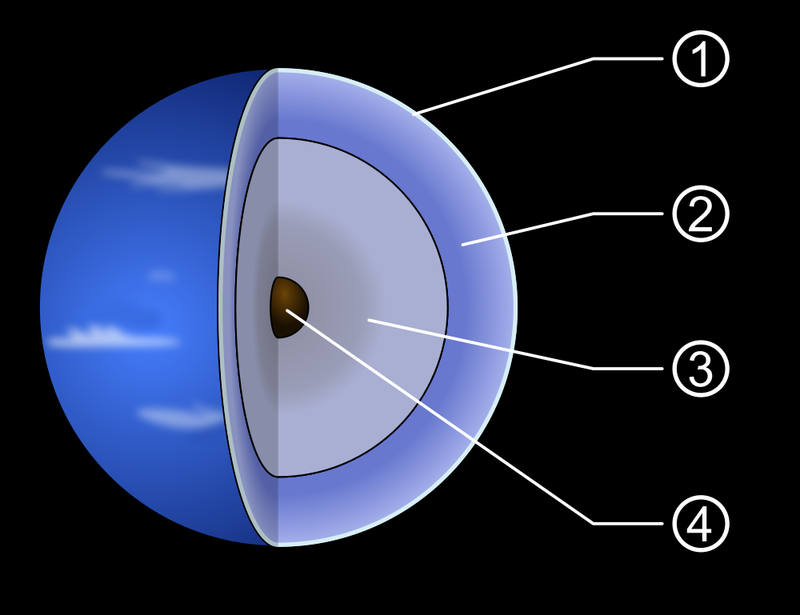 Mantle consisting of water, ammonia, and methane ices. Core consisting of rock (silicates and nickel-iron). I have taken this information straight from the source (link below). I still can’t fathom sometimes, how on Earth – as it were – we know all of this. This is the inside of the outermost planet in the solar system. I mean, like, huh?!?!! Next Sta-a-arry ni—what is that? !